Since our business inauguration, we have been transacted with business partners in over 60 countries in the world. On co-existence and co-prosperity with wild animals as one of our managerial creeds, we are developing our operation for the purpose of supplying live reptiles with deep impression and excitement. In recent years, we are actively working on the most advanced live animal control to support zoos, aquariums, research institutions, and in the field of live animal distribution, as well as import of reptiles and amphibians. 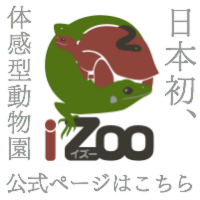 As a part of our activity to promote people's awareness of the charm of reptiles, we have been sponsoring the show "Japan Reptiles Show" since 2002. 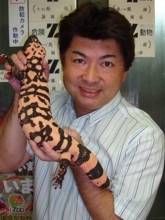 As seen in the show, the activity to raise the awareness of reptile rearing and breeding is developed to an event business. People's sense of value is perpetually changing, and a new value is always sought for in the present world. To respond to such need of the era, we are developing innovative and advanced items and services through the businesses such as consulting of breeding including industrial use of alligators, reptile housing business to propose in total package a living space to live together with reptiles, reptile-using entertainment business for the purpose in lending reptiles to mass media or for CM, cooperation in TV animal programs and coordination in overseas location, etc. The world business is rapidly globalizing because of Internet, traffic infrastructures, and many other conveniences. Even in such globalization, our specialties and know-how on animal handling are unchangedly demanded. Based on over 20 years experience in this field, we are making all efforts all time for safe animal supply using the special knowledge. In these days when natural environment protection is claimed for, we keep developing our business faithfully facing the global issue of environment protection for a sustainable use of the natural environment. For all these, we all staff work together to contribute to people's better awareness of reptiles and to secure the steadiness of their position.